42.7 Percent of All Statistics are Made Up on the Spot! All I can definitely say about statistics is that almost every ski resort in North America is way overcrowded on the weekends so there must be a lot of us out there. 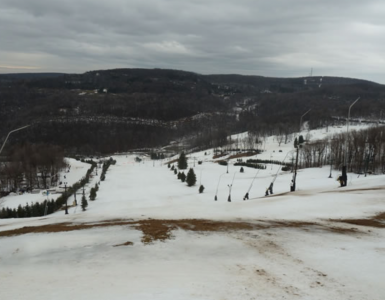 This must be construed as good because if the resorts weren’t making money, they wouldn’t be putting up ever-improving lifts, better grooming and snowmaking, etc. And I don’t want those improvements to stop. Daily crowds of over 20,000 skiers have been reported at Whistler, Mammoth and some of the Colorado resorts. Statistically, that amounts to at least sixty thousand toilet flushes a day. (Yes, my wife says that only I would come up with this statistic.) That’s a tremendous problem for the wastewater treatment plants. I think of this particularly when I see organic trout on the dinner menu at upscale, mountain resorts. Not a pleasant thought considering where the wastewater usually ends up! I always wonder how trout can be organic…they are naturally, aren’t they? But that’s a subject for another day. Now that ski resorts have instituted almost, but not quite, foolproof ways of getting on a ski lift without a ticket, you’d think that they would get more for what they pay the Forest Service, for just using the dirt that is covered with the snow…the snow that you ski on. The statistics regarding how much more the ski areas pay the Forest Service for the infinitesimal percentage of acreage they use, than the net amount it gets from the logging operations, using a “gazillion” acres, is mind boggling. 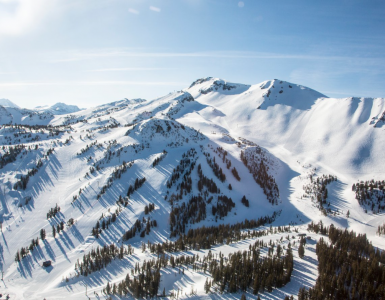 Statistic gridlock could have been avoided if more ski resort developers had followed Averill Harriman who invented Sun Valley, Idaho. His location criterion was that it had to be on a Union Pacific Railroad line somewhere. He didn’t care where. So he hired a skier from Europe named Von Gottschalk. 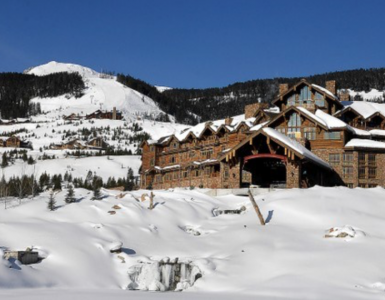 He added two more statistical criteria for the search for the perfect resort, the first ski resort built in America: the resort could not be above 6,000 feet because of potential, cardiovascular and pulmonary problems; and second, the resort could not be built close to a big city because of potential weekend crowding. He had all of this very good advice in 1935 so Harriman bought the Brass Ranch for fifty cents an acre for his lodge and community. All the locals thought that ‘old man Brass’ had really put one over on them city slickers. 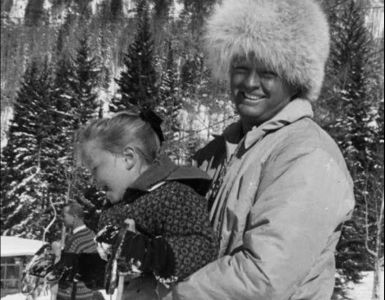 At the same time in the mid-thirties, Dave McCoy was cobbling together parts for a rope tow. He had trouble getting a loan of $84 on his motorcycle to buy some of the parts. His ultimate resort has a base lodge and hotel located above 9,000, but the closest big city is 350 miles away. 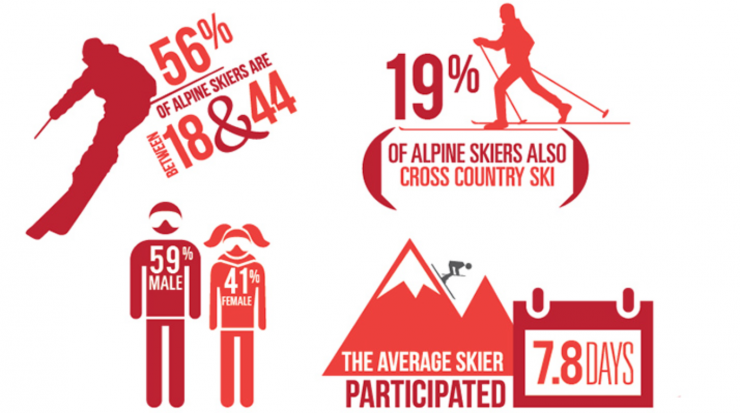 I have no idea on how many skiers make that 700 miles, round trip every weekend but it is in the tens of thousands. They get a lot of snow and after one blizzard in the mid 1950’s, it took them three days to find a tour bus and all the cars. While I’m on snowfall statistics, in the winter of 1943 or 44 at Mt. Waterman, where I was skiing during a short break from the Navy, a big blizzard hit about lunchtime. It is less than fifty airline miles from the Los Angeles city hall and that blizzard dropped 24 feet, not inches, of snow on the mountain in 24 hours. I barely got off in time to get back to the base. Half a dozen cars didn’t leave in time and it would be April before they were dug out. The heavy, wet snow crushed the tops of the cars right down to the back of the driver’s seat and all four tires had exploded from the weight of the snow. 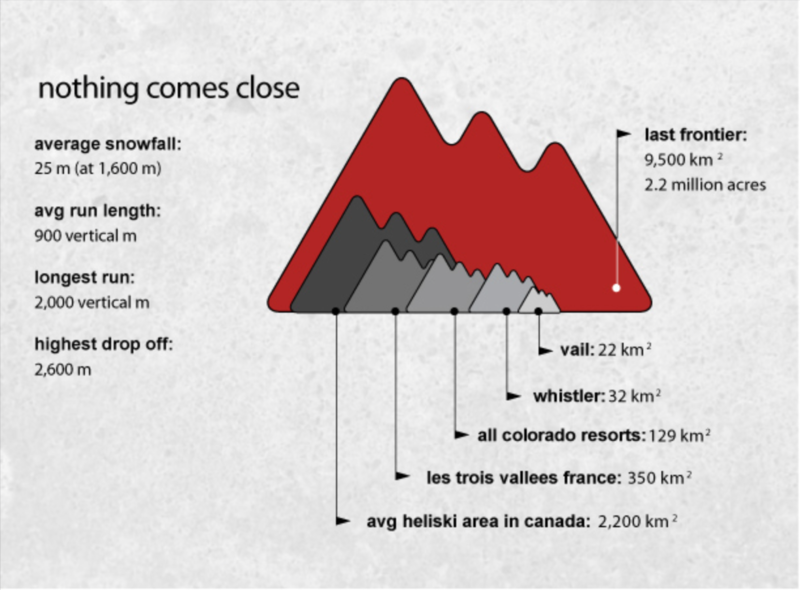 But the all time statistic that I know about for snowfall at a ski resort was at Mt. 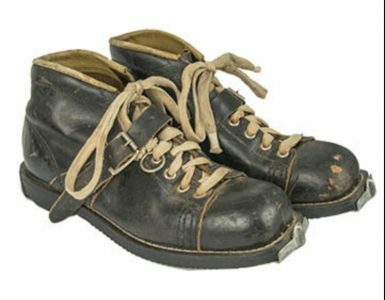 Baker, in the North Cascades of Washington, several years ago, with 99 feet in one winter…feet! 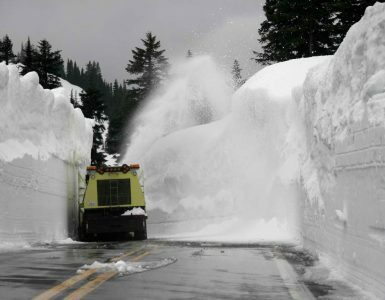 Just imagine what that much snow would to do your ski resort besides make it impossible to operate. Where would you put all the snow? In late April, the snow banks around the parking lots were still over 60 feet high. Statistically speaking, one person out of 93 will escape a serious injury while skiing, even if they ski for over 50 years. They will break an ankle, tear the cartilage in a knee, a wrist or an arm, or dislocate a shoulder but even 99.9% of the injured return to the sport as soon as the doctor, wife, or husband says it’s ok to go again. In my case, I’ve torn the rotator cuff in each shoulder as well as crushed the T-4 disc in my back, but I’ve been at it since 1937 and I have at least another 15 years left in my tired, old, body to chase freedom on the side of a hill. And there is no statistic on freedom because freedom is man’s basic instinct. Anyone who skis knows that snow will always be a safe topic of conversation. We can talk about it if there isn’t enough of it, if there is too much of it, if it’s too wet, too unstable, too tracked up, too heavy.